Step up your stay in The Empire State when you book one of the modern accommodations of Courtyard Albany Thruway. Providing easy access to Crossgates Mall, Colonie Center and the University at Albany, SUNY, our hotel is a great spot to make your home base during your vacation or business trip. When you arrive at your spacious room or suite, spend some time unwinding on our luxury bedding while browsing the premium cable and movie options on our flat-panel TVs. Need to take care of some work tasks? Our rooms feature ergonomic workstations and free high-speed Wi-Fi so you can easily do so. Stop by our on-site restaurant to fuel up on delicious American cuisine, as well as a cup of Starbucks coffee, when hunger strikes. If you're wanting to stay active, visit our 24-hour fitness center and work up a sweat using our cardio equipment and free weights. You can also take a dip in our indoor pool if you'd prefer to relax. 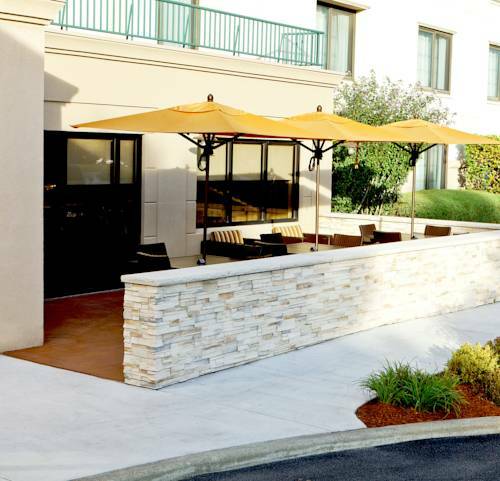 No matter how you choose to spend your time, enjoy spending it at Courtyard Albany Thruway.